IGTV with all its unique features can help brands reach a totally new audience with their content. Videos are the new currency for effective communication online. From ‘How to’ videos to ‘Product videos’ to ‘Brand videos’ to ‘Webinars’ to ‘Video ads’ and many more, the production and consumption of video content are on a steep rise. Instagram has jumped into the market with its vertical video platform IGTV. IGTV is a video platform inside the Instagram app, where the users can upload videos up to a length of 60 minutes in 9:16 ratio ie. Portrait mode. This vertical orientation of content is the prime differentiator of this platform. So should YouTube be worried? The Google-owned video service has around 1.9 billion active monthly users now which is a staggering number. But YouTube definitely will have to keep an eye on Instagram TV due to factors like presence and constant growth of Influencers on Instagram. Influencer segment has seen a steep rise due to Brands turning to more and more local opinion leaders to spread the word about their offerings. Also, the sheer scale of Instagram now can be of some concern to YouTube as Instagram has crossed 1 billion active monthly user mark. YouTube, on the other hand, has the advantage of their revenue share model via which many of the content creators are earning as much as $10,000/month and more. This kind of revenue sharing model is something that will be difficult for Instagram to replicate. How can brands utilize this new medium to build a dialogue with the consumer? Brands have a unique opportunity with IGTV to reach the audience and build a community. IGTV with all its unique features can help brands reach a totally new audience with their content. Repurposing content from other channels. Brands can repurpose the vertical video content to feature on their IGTV channel. They can get another chance to compartmentalize the content properly and deciding wisely which kinds of community building, knowledge sharing content to upload on IGTV which will be useful and relatable to the consumers. Collaborate with Influencer Channels. Since IGTV gives an opportunity to brands as well as influencers to set up their own channels with up to 60 minutes of video time, brands can exploit this possibility. Cross promotion of their offering among influencers’ and the brand channels will help amplify reach and engagement for the brand manifold. Speaking to the audience in real-time. Going Live regularly and having a real-time conversation with the customers builds a different level of trust which normal channel content won’t. The regular Live sessions can be Q&A sessions or interviews with key opinion leaders etc. Starting a weekly or bi-weekly series. Brands can go full steam with their video production departments to produce content in the form of a series of episodes. IGTV gives the brands a unique opportunity to reach a 1 billion-plus user base with a video series which is based on a theme and a storyline. Unlike television, this channel is a free one. The influencer presence on Instagram gives brands the chance to market these shows using these crowd pullers. Sharing niche content with an exclusive audience. Brands canachieve the commonly talked about the objective of being transparent with their customers via IGTV. This can be done by sharing niche content to only those who follow the brand or to a set of well-targeted audience in terms of demographics, geographies, interest profiles etc. Content like behind the scenes snippets and content around company culture, product development, production or distribution can help the audience build an emotional connect with the brand. IGTV as a marketing medium is still at its nascent stage and Instagram will be working throughout 2019, to add more features which are brand marketing friendly. 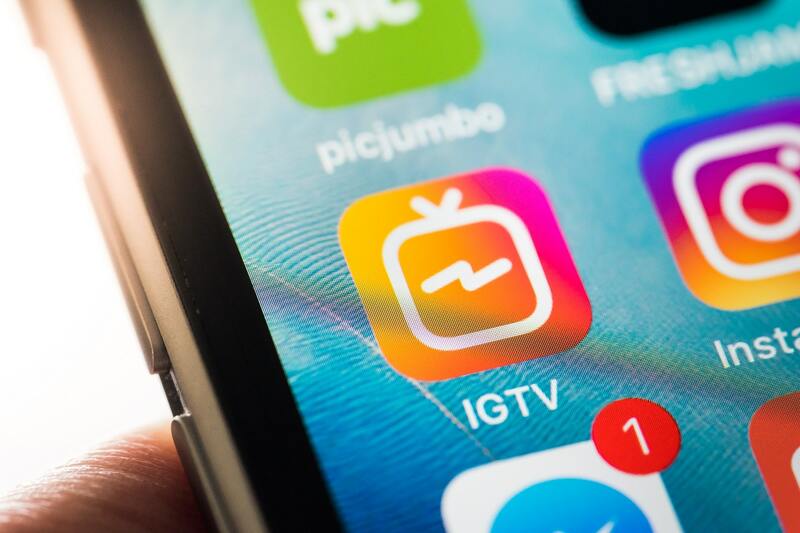 It will be interesting to see what kind of advertising products IGTV comes up with and if Instagram is planning to have a subscription model similar to that of YouTube. Although monetising IGTV as effectively as Google has been able to monetise YouTube will be a tough nut to crack. An article with professional and dynamic approach in upcoming fields in social media, digital marketing sectors.